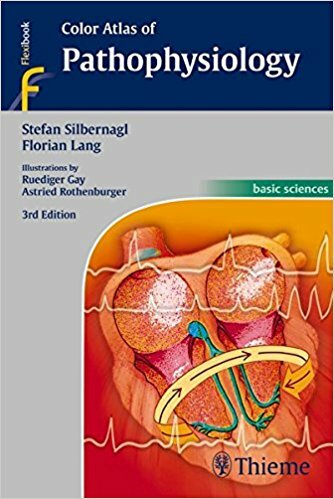 Stefan Silbernagl, Florian Lang, "Color Atlas of Pathophysiology, 3rd Edition"
develops in nearly 200 vivid color plates accompanied by clear text. gives a rapid and complete overview of its topic. basics of physiology are explained again. disorders, and obesity. Color Atlas of Pathophysiology is the ideal supplement to Color Atlas of Physiology!